When you and your golfing friends play together, you give each other far to many short putts. The normal agreement is if its within half a putter length then you can pick it up, its a gimme!! Gimmes might feel great, but the only problem with that is that when you get in a round of golf that really matters and you have to putt everything out, you’re probably scared to death. That fearful feeling normally results in a early peek at the hole—an attempt to Go in! Please go in! It causes the eyes to twitch and the head to move, the shoulders to open—and now the putterface and path could be pointing anywhere. You’re lucky to hit the hole. Give the ball a nice, firm strike. The putt’s probably not going to break, so aim the face straight at the hole and make sure you see it hit the ball. 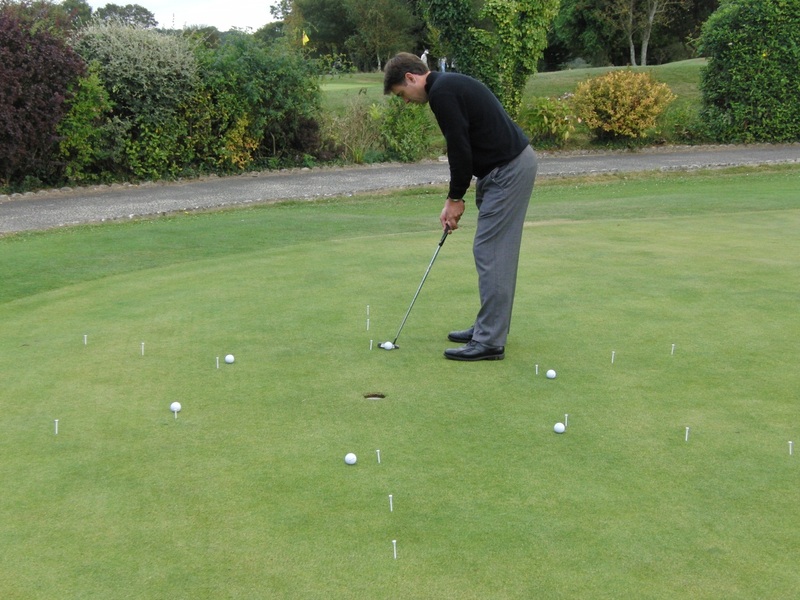 If you get in a habit of staying down and listening for the ball to drop, you’ll be automatic on these little putts.